As a Hindu by religion, I have come across hundreds of deities, stories and superstitions. And in a society of people, who worship gods to amend to their will, belief plays a big role. It defines the way people live. It defines their motives, the way of conducting themselves, the way of finding solace and unmistakably their actions. Believing in a religion accounts to going to their respective worship places, offerings to their deities/gods and creating an idea that makes you think all will be well. The numerous number of worship places all over the world suggests the same. Making the concept simpler, all of them just constitutes the creation of Positive energy. From the years that have come, discoveries have chiseled through believes. Be it the Big bang, Evolution, the Universe or even Matter. Scientists have been challenging religion, since a very long time. But they still have questions that are yet to be answered. And with each new discovery the number of questions increases along with the amplitude of the contradictions of Science and Religion. 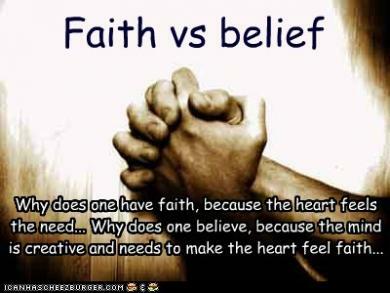 Faith and Belief are quite profoundly referred to as synonyms. Even though, they are not quite the same. Faith can be explained as a belief that is not based on proof. Whereas belief can be explained as putting a regard in as true. Now do we follow something that doesn’t have proof or do we follow something that is fabricated enough for us to understand. That question is completely left to one’s own self. Thinking about it diversely, Faith and Belief is something of a parallel feeling that we express and carry in our day to day life. Every one of us needs an incentive to live. This feeling gives us that incentive that helps us face each day of our lives. Be it good or bad, we still have something that tells us that it will be okay. And that feeling is what we name as Faith and Belief. Do we have faith in ourselves? If we do, then do we believe in ourselves? Ask yourselves that question and you will actually find an answer ringing inside. The most palpable understanding will constitute a rational idea. But then again, when you think deeper your ideas contradict. And that contradiction is what pushes you forward to find answers. 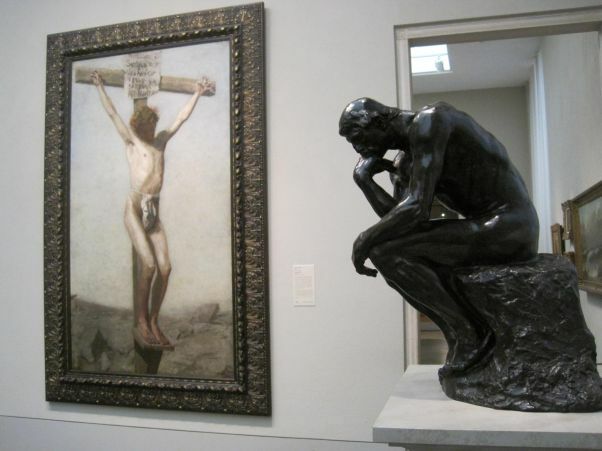 Being a rationalist, allows you to be broadminded. It helps you to understand, reason and find out about different ideas and why they exist. It is one of the obvious way to open up and be wiser. Whereas if you stick to the ideas that were fabricated for your easy understanding, then you might just end up with a narrow mind with no option of reasoning to facts. The same can be applied to your friends, families and your confidence or trust in them or vice versa. There are many versions of the same thought projected by different people. But the matter that makes you understand the depth of this creation, will definitely provide you insight. Spiritual, Virtual or Real, all of them are related and are constituents of mind. They are what directs you to believe. And they are what forces you to channel your faith through your beliefs. Closing up on this vast ocean of an idea is not easy, and never will be. Each and every statement made on Faith and Belief will definitely have a counter. But then it is entirely left to minds of the people on what they choose. Breaking the barriers of fabricated truth and understanding the depth of a proof less entity, it is a choice that is left to the free minds of the world to explore. So, till the time all truths are unfolded…..and all the contradictions are dealt with…. 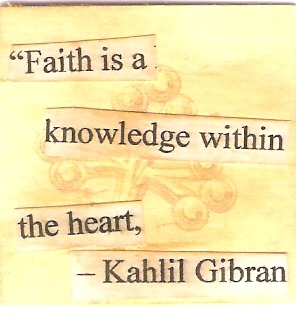 Have faith…….then Believe you will !!!!! ← Change…is the thought that’s inevitable !